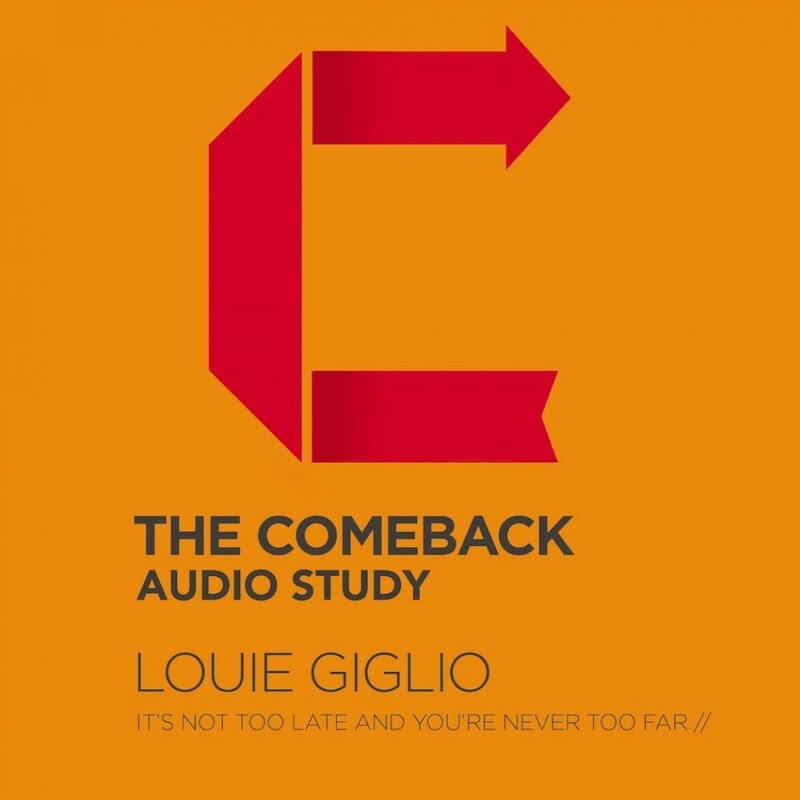 The Comeback Audio Study | Louie Giglio | Audiobook Download - Christian audiobooks. Try us free. The Bible Study Source series provides a unique audio learning experience. Unlike a traditional audiobook's direct narration of a book's text, Comeback includes high-quality, live audio sessions from the author that cover this important Bible-based topic. These sessions will reflect the ambiance of the unique recording locations, immersing the listener into the teaching. Feeling like you’ve blown it? Reached the point of no return? That your life hasn’t gone as planned? If so, you are not alone. We all know what it feels like to have life disappoint us and not work out as we’d hoped. We all know what it’s like to long for something different, something better, and something more. Drawing on his own experiences and pivotal Bible stories, author Louie Giglio tells you how God is all about comebacks. Samson had blown it repeatedly; nevertheless, he experiences tremendous triumph at the end of his life. The prodigal son, as Jesus describes him, returns home in disgrace only to be welcomed by his father with open arms—no questions asked. The list goes on: Joseph, Moses and Peter all experienced comebacks. Jesus himself performed the greatest comeback of all by rising from the dead. God is in the business of giving fresh starts to people. The message of Comeback proves God can use our mess and still make a masterpiece—and that our current circumstances will not get the final say in our lives.